Kitchen Cabinet Depot has added a customer photo gallery! We've been looking forward to showcasing all the great photos our customers send us each month. Come see the beautiful results our customer have enjoyed with our kitchen cabinets. Your concept gave me some good ideas and how to start my own. The photo looks like its Christmas eve. Creates nice atmosphere with surrounding furniture. 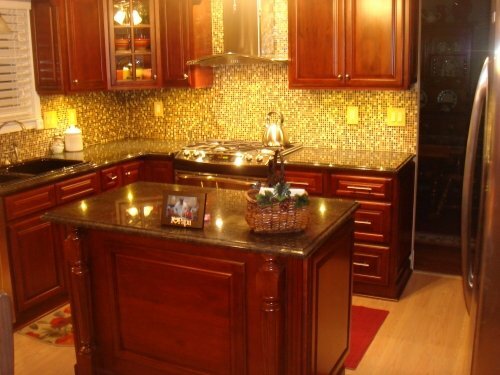 Cherry brown color looks beautiful with curio cabinets.